It can be installed in place of the 3Watt power amplifier and is pin for pin compatible. 2) Install the new 7W unit and re-solder the links. Do not heat the links for too long otherwise they become unsoldered on the power amplifier. 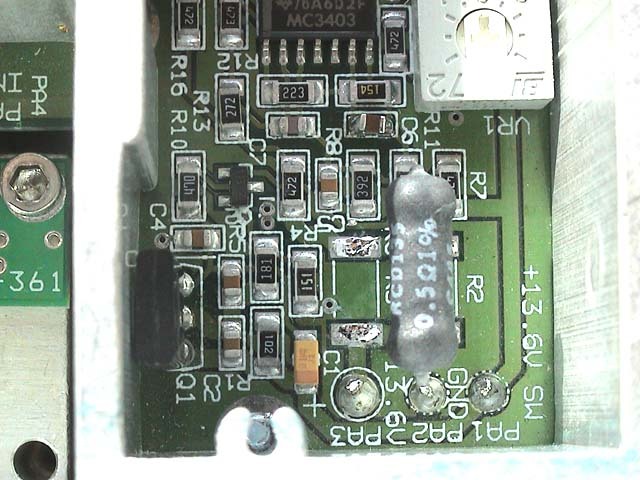 3) Remove the two large surface mount resistors R2 and R3 on the Tx main board. 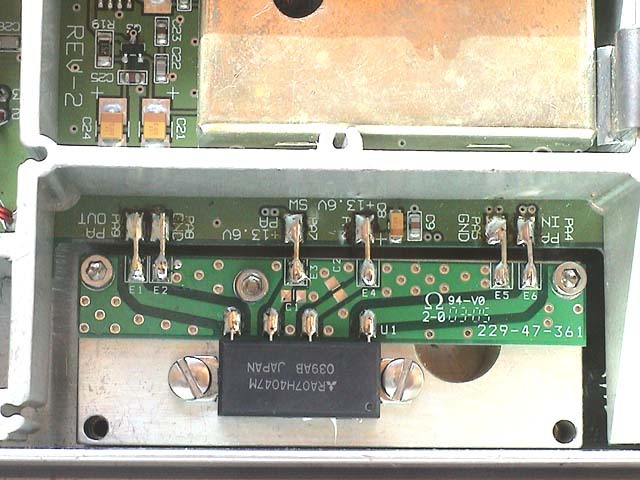 5) Install a surface mount .1uF capacitor across C6. To do this place the .1 uf capacitor on top of C6 and add some solder to one side of C6, wait until the joint cooled down and then solder the other side. C6 may come loose if too much heat is applied. In this case you may remove C6 altogether and install the new .1uF capacitor in place of C6. Both methods are acceptable, either soldering the existing capacitor C6 in parallel with the new .1uF capacitor, or removing the existing capacitor C6 and installing only the new .1uF capacitor for C6. 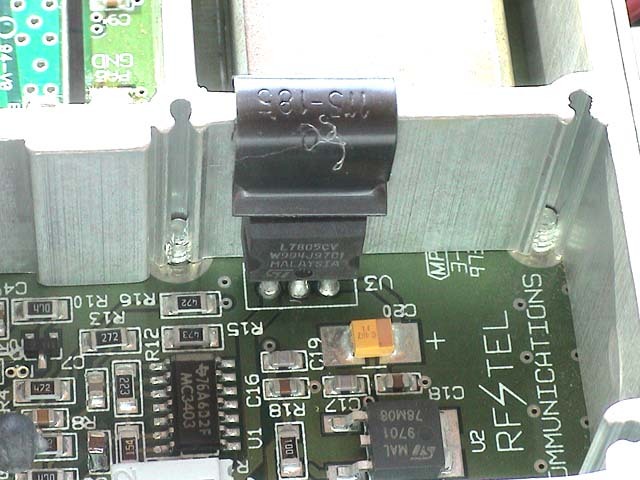 With the new 7W power amplifier installed, the main Fuse F1 on the controller board must be changed to a 3A to 5A fuse.